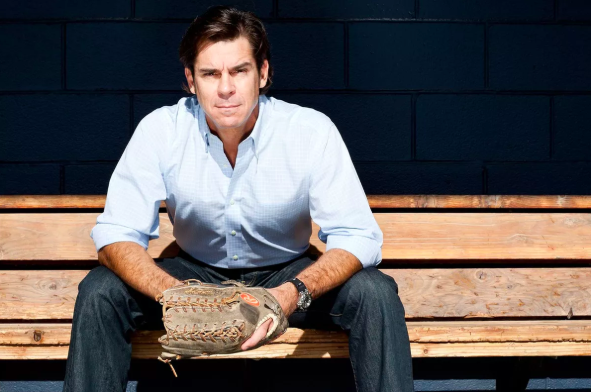 Billy Bean is still the only openly gay MLB league player (current or former) alive since he out as gay in 1999 following his retirement from the game. In 2014 he was named MLB’s first Ambassador of Inclusion by MLB Commissioner Rob Manfred. Bean’s ability to talk to front office executives and staff as well as team owners, staff and the players as a former colleague who knows and loves the game and its traditions, has enabled him to make steady inroads in the league’s change in culture toward increased diversity and inclusion. As a result of his work, in 2017 Bean was promoted to vice president and special assistant to the league’s commissioner. Now a senior advisor to the commissioner, his responsibility also includes bringing awareness and educational resources to all players, managers, coaches, umpires, minor leaguers, and stakeholders in MLB to ensure an equitable and inclusive workplace for everyone. Compete: Billy, I know how busy your schedule is, especially visiting teams at Spring Training and a number of Pride Nights with MLB teams over the spring and summer. But the Gay Games are coming in August and you are listed as one of their ambassadors. Will you be able to go to Paris and compete in some of the sports? Billy Bean: Unfortunately my MLB work schedule will not allow me to attend the Paris Gay Games. I would love to compete in the Games (tennis) as well as represent our community as an ambassador. C: With all that you faced as a closeted gay athlete while playing in MLB during the late 1980s through the mid-1990s, what do you consider your most important personal achievement? BB: Every achievement in my life has given me determination to learn more, to get more involved in causes that are important to me, to be a better role model to my community and live a meaningful life that strives to inspire others to be the very best they can be. C: And what do you consider your most important professional achievement? BB: Playing six seasons in Major League Baseball. C: What does your role as the MLB vice president and special assistant to Commissioner Manfred entail? BB: My role as vice president and special assistant to the commissioner is multi-dimensional. My responsibilities begin with creating socially responsible educational resources for our major and minor league players for all 30 clubs. I also help oversee an MLB education program (Ahead in the Count), an MLB bullying prevention program (Shred-Hate Program) and a military internship employment program for MLB. C: Since you have said that you don’t measure success by the number of closeted MLB players coming out, how do you measure your success and that of MLB? BB: We have never wavered from our goal to grow and sustain an accepting, respectful and inclusive culture in our clubhouses, front offices and our ballparks. As a former player, I work very hard to cultivate my relationships with MLB managers, coaches, front office executives and players. Our message is embraced throughout the sport and I feel we have made tremendous strides throughout the league since my return to the game. C: Thanks so much for your time, Billy. You are a true inspiration to the entire sports community!